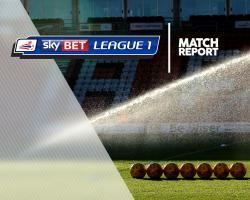 Swindon 1-0 Coventry- Match Report - Swindon Town MAD! Midfielder Yaser Kasim bagged a late winner to get Swindon's League One campaign under way with a 1-0 win against Coventry at the County Ground. Iraq international Kasim only netted once last season, but curled in an 86th-minute strike from just inside the area to give the Robins the perfect start to the season. Coventry had the first real opportunity of the game in the fourth minute when their striker Marvin Sordell hit the post from a left-footed shot. A lapse in concentration from Swindon's Jamie Sendles-White in the eighth minute was wasted by Coventry's George Thomas who put his attempt wide. Swindon played with more intent in the second-half and Rodgers almost scored on 59 minutes after a scramble in the Coventry penalty area resulted in his shot being cleared off the line. In the 75th minute, Swindon's midfielder Michael Doughty missed another chance for the home team after being put through on goal, he failed to get his shot away quick enough. Coventry went in search for a goal in the final moments but failed to create any chances.